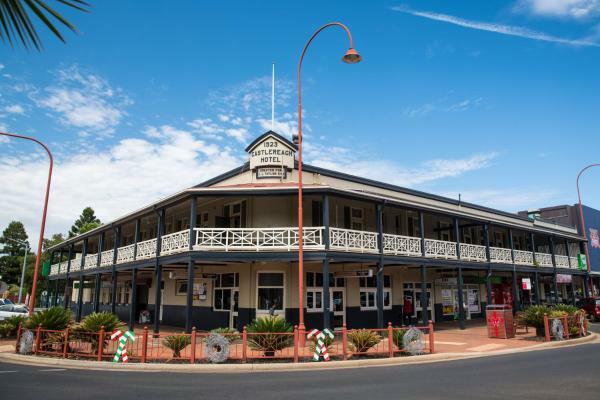 Dubbo is a city located in New South Wales and his population is 32,327 inhabitants. On this page you can consult informations about distances and roadmaps from Dubbo to major cities and places in Australia. 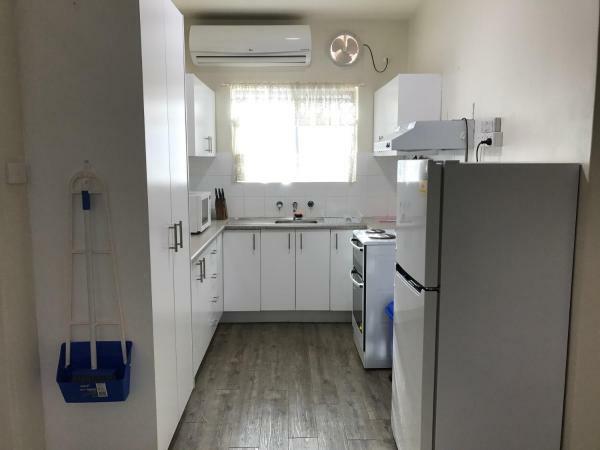 Offering free WiFi and garden views, Large 5-Bedroom House with Wifi & Netflix Close to Taronga Western Plains Zoo is an accommodation situated in Dubbo. Guests have a private patio. This hotel is 2.29 km from city center. Anns Private Place is offering accommodation in Dubbo. Guests can make use of a garden. Guest rooms in the guest house are fitted with a flat-screen TV. Featuring a private bathroom, rooms at Anns Private Place also feature free WiFi. This hotel is 2.57 km from city center. 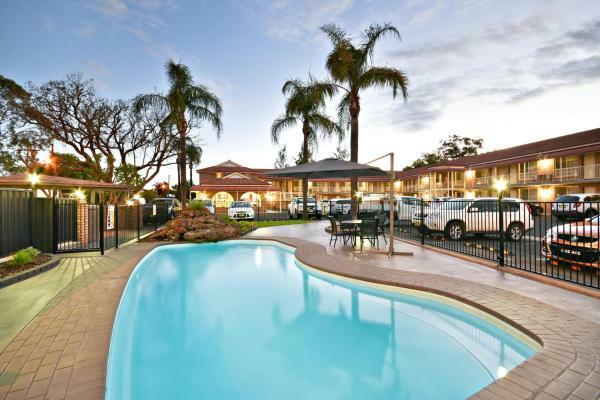 Offering free WiFi and an outdoor pool, Quality Inn Dubbo International is located next to the Royal Dubbo Golf Course and just 800 metres from the Taronga Western Plains Zoo. This hotel is 2.56 km from city center. 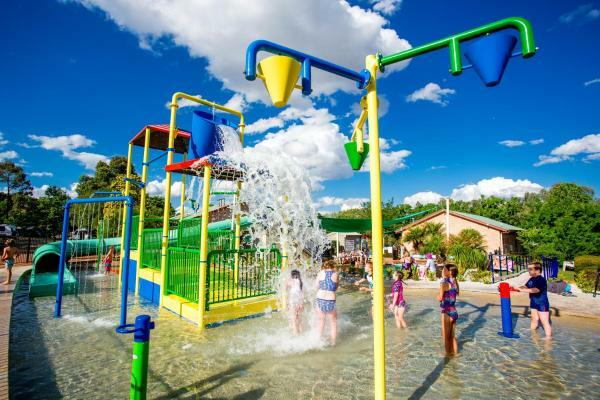 Boasting free WiFi, a state-of-the-art water park, and a children's playground, Discovery Parks - Dubbo is a 2-minute drive from Taronga Western Plains Zoo. All accommodation includes free onsite parking. This hotel is 2.33 km from city center. Just 2 km from the famous Taronga Western Plains Zoo, Abel Tasman Motor Inn features an outdoor pool and a covered BBQ area. It offers air-conditioned rooms with satellite TV and a DVD player. This hotel is 2.07 km from city center. 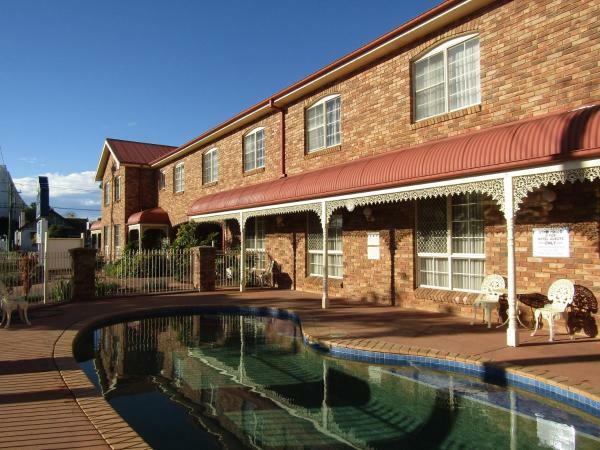 Dubbo Rhino Lodge provides accommodation with a garden and free WiFi, and is located in Dubbo. All units come with a seating area, a flat-screen TV and a private bathroom with free toiletries and shower. This hotel is 5.95 km from city center. An outdoor pool, a sauna and a 24-hour front desk await you at All Seasons Motor Lodge, just 3 minutes’ drive from Taronga Western Plains Zoo. The property offers air-conditioned rooms with free Wi-Fi and a private patio. This hotel is 1.83 km from city center. Just 3 minutes’ drive from the famous Western Plains Zoo, Akuna Motor Inn and Apartments features an outdoor pool. A flat-screen TV with satellite channels is standard in all rooms. Free onsite parking and free WiFi are provided. This hotel is 1.76 km from city center. Featuring an outdoor swimming pool, a barbecue area and free parking, Across Country Motel is only 3 minutes’ drive from Western Plains Zoo. All air-conditioned rooms offer a flat-screen TV. Free continental breakfast and WiFi access are provided. This hotel is 1.45 km from city center. Just 650 metres from the Macquarie River, Macquarie Cottage features an outdoor swimming pool, BBQ facilities and free secure parking. This hotel is 1.42 km from city center. 14 Elizabeth St is set in Dubbo. This apartment offers a garden. The apartment comes with 2 bedrooms and a living room with a satellite flat-screen TV and DVD player. An oven and a microwave can be found in the kitchen. This hotel is 1.39 km from city center. 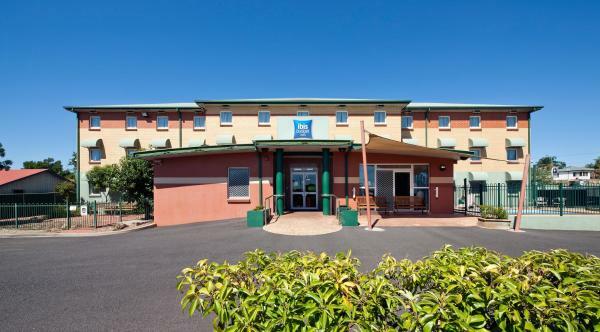 Just 8 minutes’ drive from the world-famous Western Plains Zoo, Ibis Budget Dubbo features an outdoor swimming pool and free on-site parking. It offers air-conditioned rooms with an LCD TV, ironing facilities and a private bathroom. This hotel is 1.29 km from city center. 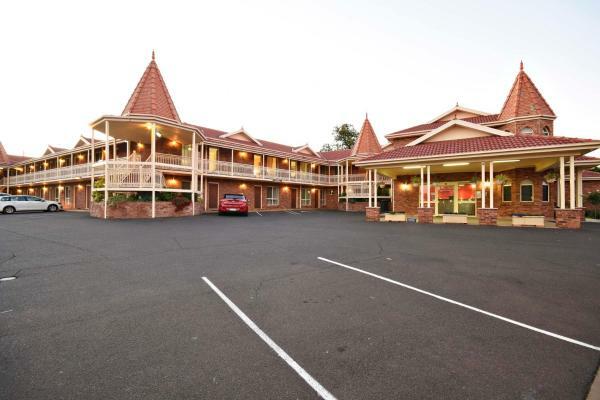 Cattlemans Country Motor Inn and Serviced Apartments is the largest motel in Dubbo. It houses an award-winning restaurant, 2 outdoor swimming pools and an indoor heated pool. This hotel is 1.12 km from city center. 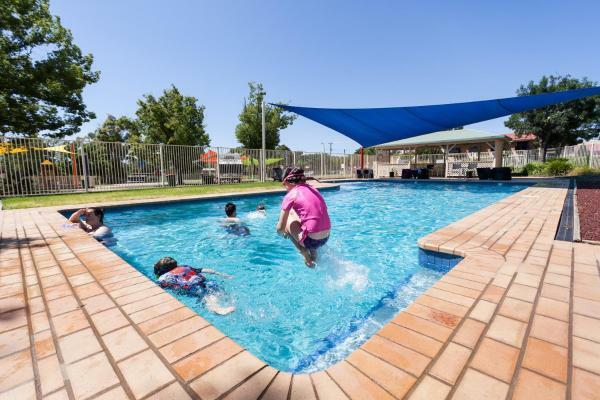 Offering an outdoor pool, children's playground and a jumping pillow, this holiday park is located in Dubbo, just a 2-minute drive from Old Dubbo Gaol. Free on-site parking is included. This hotel is 1.03 km from city center. 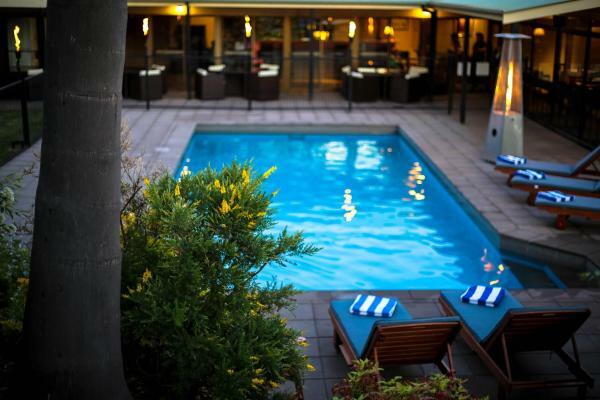 Featuring an outdoor saltwater swimming pool, Tallarook Motor Inn offers free Wi-Fi and free satellite TV. 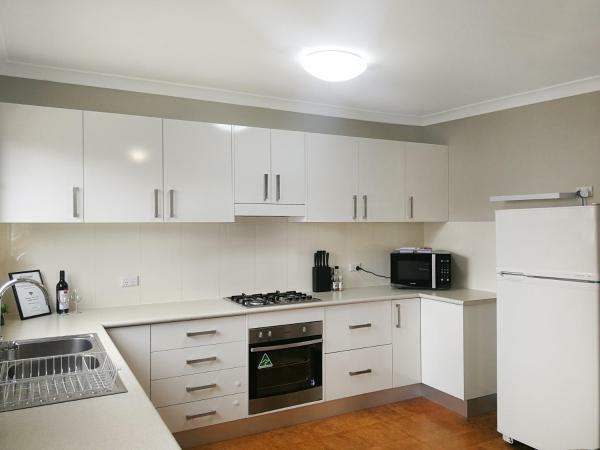 Just a 5-minute drive from Dubbo Railway Station, each room includes a fully equipped kitchenette. This hotel is 1.16 km from city center. 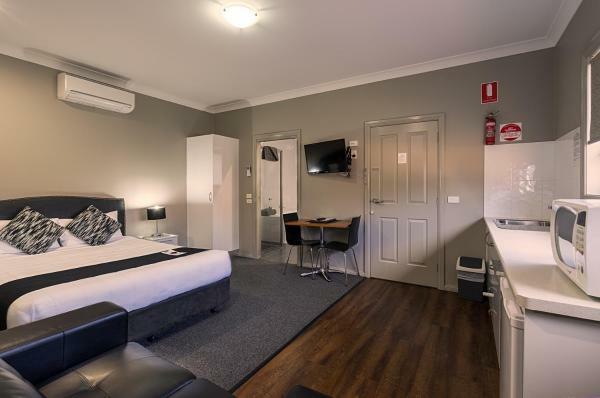 Amaroo Hotel Dubbo in Dubbo has 3-star accommodation with a bar. Guests can enjoy a selection of Australian dishes in the in-house restaurant. The rooms in the hotel are equipped with a TV. This hotel is 0.57 km from city center. Refurbished in July 2017 The Aberdeen Motel has a large outdoor pool, free parking and barbecue facilities. The property is located 500 metres from the Macquarie River and is within a 5-minute drive from central Dubbo. This hotel is 1.24 km from city center. 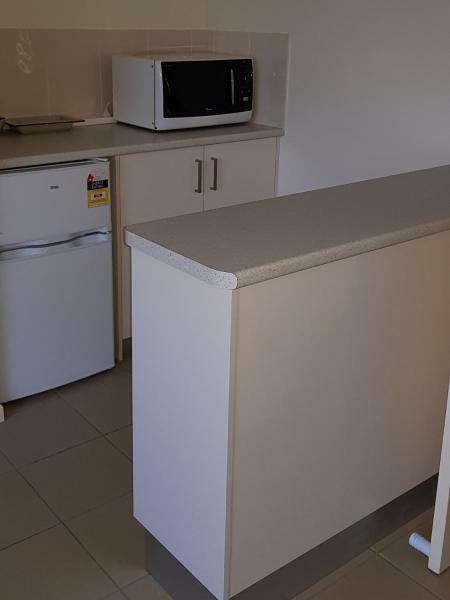 Located in the heart of Dubbo, Quest Dubbo Serviced Apartments offer a fitness centre, an outdoor barbecue terrace and free Wi-Fi internet access. This hotel is 0.95 km from city center. 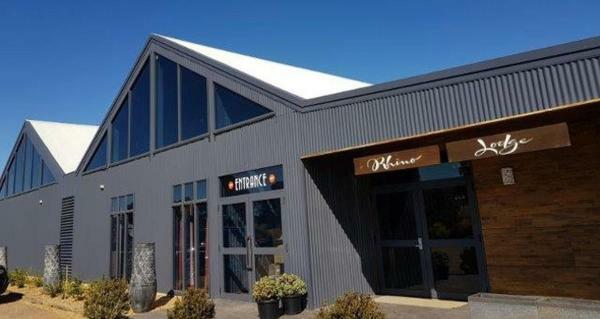 Offering free WiFi, free on-site parking and a swimming pool, Shearing Shed Motor Inn is just 4 minutes’ drive from Taronga Western Plains Zoo. All accommodation features a flat-screen TV with satellite channels. This hotel is 1.21 km from city center. 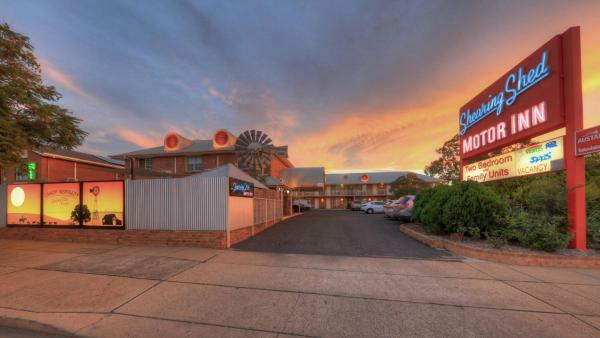 The Palms Motel Dubbo features free unlimited WiFi and 55 inch flat-screen TV's with Netflix in all guest rooms. It also boasts a salt water swimming pool and BBQ area. This hotel is 1.24 km from city center. 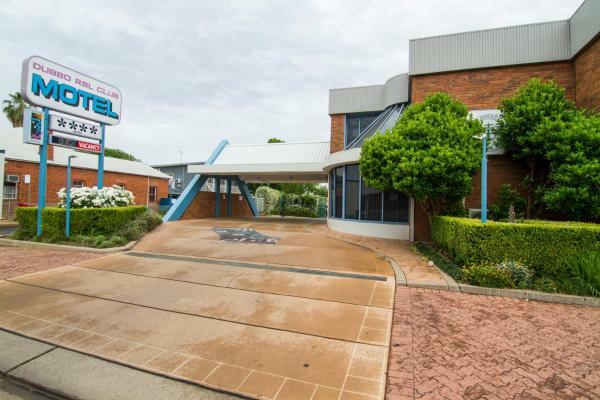 Located in the heart of the city centre, Dubbo RSL Club Motel features an outdoor swimming pool and free WiFi in some rooms. All accommodation includes satellite TV and a DVD player. A self-contained house is also available. This hotel is 0.79 km from city center. 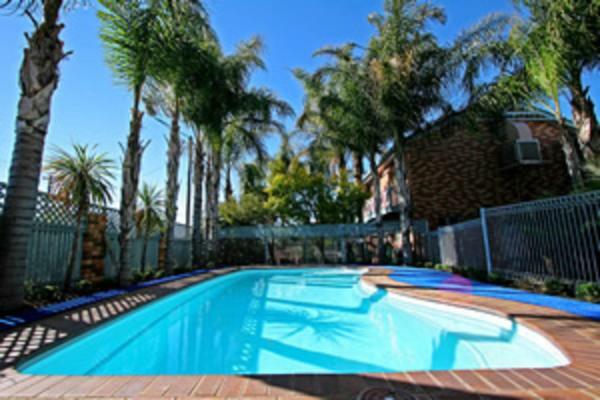 Australian Heritage Motor Inn offers an outdoor pool and free WiFi access. 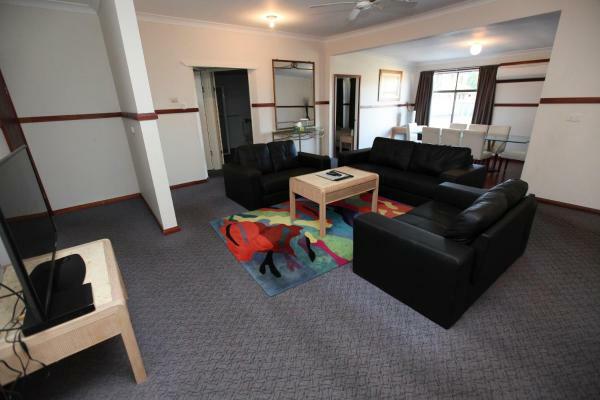 It is within a 3-minute drive of Dubbo Railway Station, the Victoria Park and Dubbo Showground. Free parking is provided. This hotel is 1.23 km from city center. At Country Apartments, guests can enjoy a swim in the outdoor pool, have a barbecue with friends or explore the surrounding areas. Free Wi-Fi and free parking are included. This hotel is 1.35 km from city center. 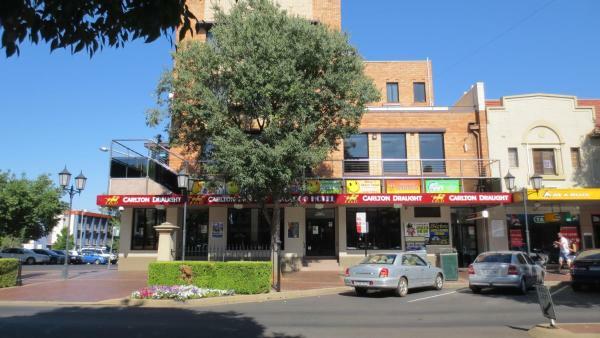 Featuring a garden and shared lounge, as well as a restaurant, Castlereagh Hotel is situated in Dubbo. Free WiFi is available. Guest rooms in the hotel are equipped with a flat-screen TV. All guest rooms will provide guests with a fridge. This hotel is 0.30 km from city center. 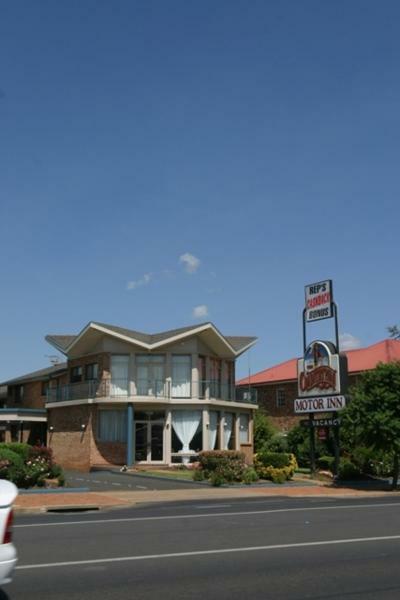 Located in the heart of Dubbo city centre, Countryman Motor Inn features a restaurant, bar and outdoor swimming pool. All rooms include air conditioning, cable TV and a minibar. This hotel is 1.22 km from city center.